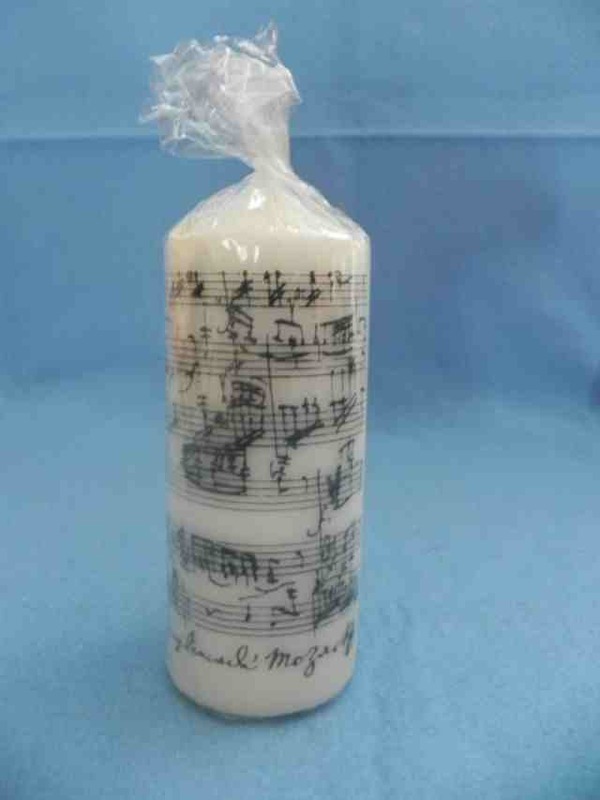 Here I have a brand new Mozart Music Pillar Candle. 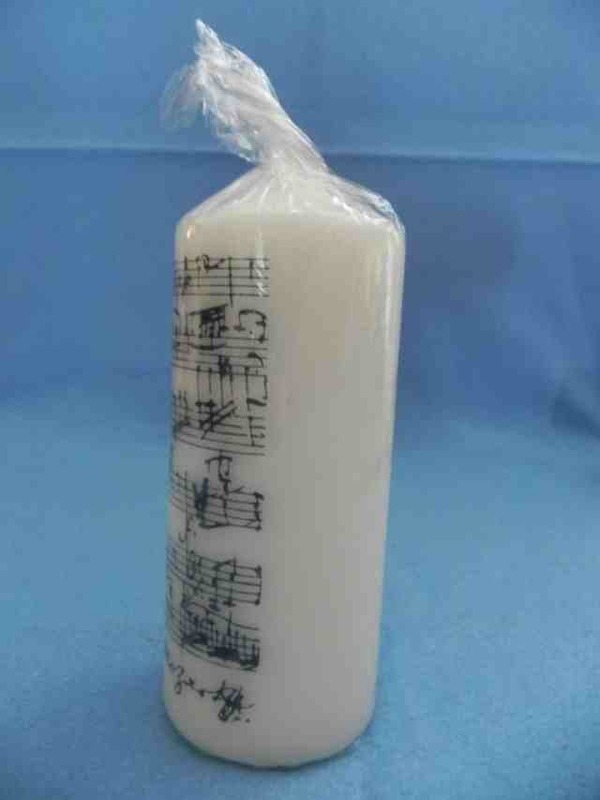 It is new in original box and is unscented. 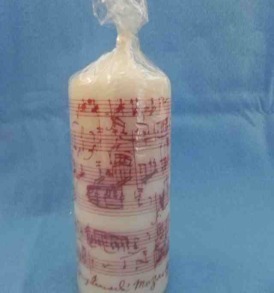 Here I have a brand new Mozart Music Pillar Candle. 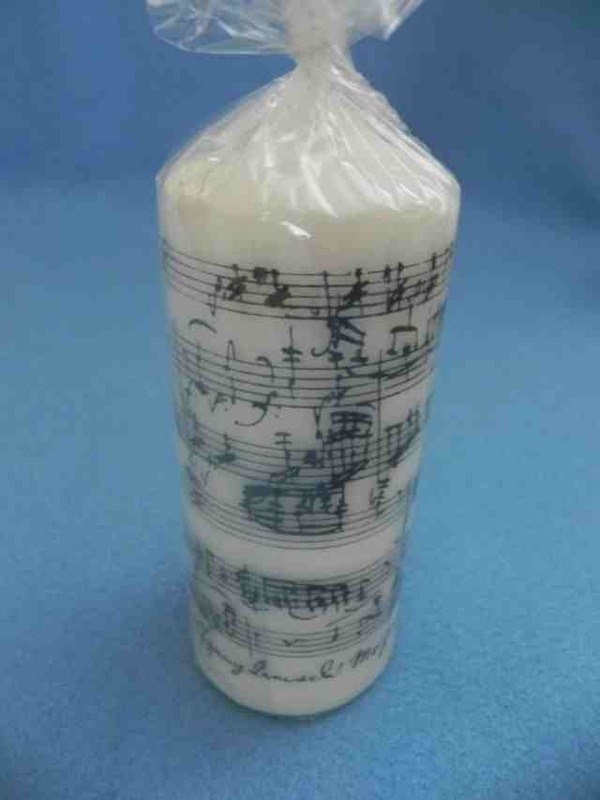 It is new in original box and is unscented. 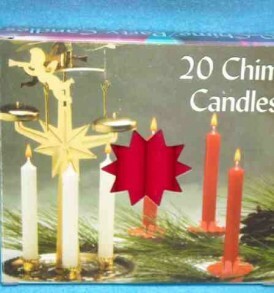 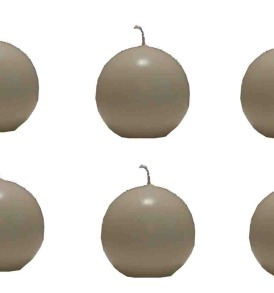 It was made in Germany and is a dripless candle. 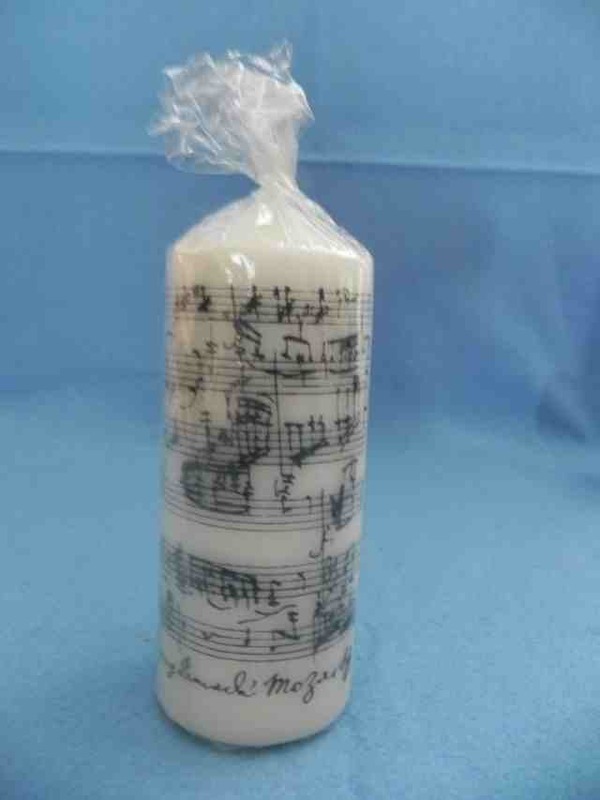 This is a nice pillar candle with Mozart sheet music on the side of the candle in the color gray. 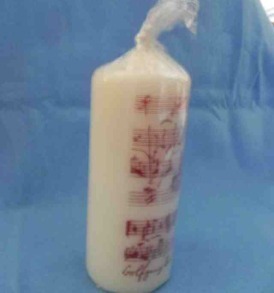 Its measurements are 6″ tall by 2 1/4″ in diameter. 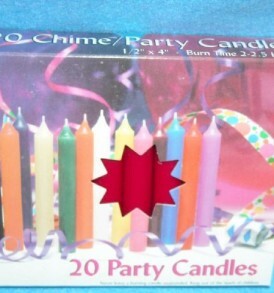 Its burn time is 100 hours. 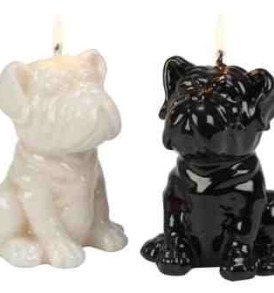 Would look nice sitting by your piano or use for a gift to someone that plays piano.